A sprained ankle from childhood, or later, from sports or athletic injuries, can become a problem if it is ignored. It is easy to say, “it’s just a sprained ankle,” and continue to walk on it. Walking is a priority in our busy lives. It’s so important that you may override pain signals. And, you may not even be aware that your ankle hasn’t healed completely. In fact, after a moderate to severely sprained ankle, you may actually have less sensation in your entire foot as time goes on. What next? Your ankle may become unstable. 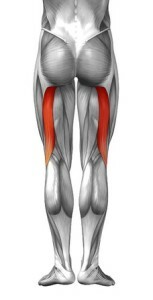 Then your lower leg muscles tighten to compensate. Because tight muscles limit movement, stiffness at your knee and hip may follow. Tension may then travel up your leg, into your low back. And even up to your neck! Without noticing it, your small sprained ankle has now become a big problem. Why do I keep spraining the same ankle? 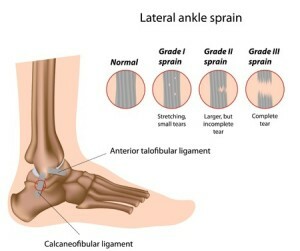 When an ankle is weakened by one sprain, or ligament tear, it is easy to sprain again, for several reasons. First, because with less sensation, you don’t feel your foot is about to roll under you. Secondly, ligaments are very slow to heal. Along with tendons, they are composed of dense, fibrous tissue that the body does not repair or replace readily.1 Thirdly, the purpose of ligaments is to stabilize a joint. When they are weakened, any movement exaggerates the instability. And finally, when one ligament is injured, other nearby ligaments are also at risk. When your foot rolls under, it injures ligaments on the outside of the ankle. 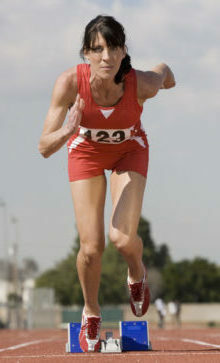 A sprain is a partial or complete tear of a ligament.1 Like the founder of Muscular Therapy Institute, Ben Benjamin says: “While it is healthy for us to have muscles that are loose and relaxed, it is not healthy for us to have ligaments that are loose.” When ankle ligaments become loose, muscles tighten. As the body attempts to compensate, muscles tighten to help stabilize when you walk. However, our body functions as an integrated unit. So tight muscles can travel! 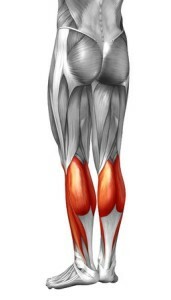 Outer muscles of the lower leg first tighten up to stabilize the sprained ankle. 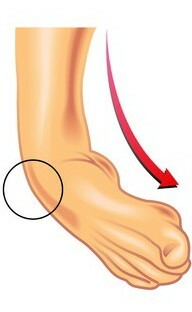 The fibula, which holds lateral ankle ligaments, connects to hamstrings. They tighten up next. Tight muscles under the IT band travel up to the hips, glutes and back. In 2013, I discovered that Ortho-Bionomy® could help to heal clients’ longstanding ligament injuries. They reported that years of elbow, shoulder, knee, and ankle pain resolved, sometimes in just one session. I was curious why. Since I read his research, I have learned how to adapt his protocols to older athletes who may have knee pain, or hip or back complications. Can Integration Massage heal my ankle? There’s different kinds of ankle sprains. The more common lateral, posterior and medial ankle sprains all respond well. However, there’s no guarantees! First, I will ask for your ankle injury history. Then, I will examine how you stand, walk, lunge and/or squat. I will watch for balance, ankle movement, or instability. And I will compare left to right. Next, I will assess your pain, muscle tension and ankle sensation while you are lying on the table. I may check both hips, knees, ankles and feet. Ortho-Bionomy® and movement relieve the tight muscles, release pain and tension. Massage and touch increase your sensory awareness. Finally, visualization, stability and strengthening exercises will help you correct how your ankle moves. Then you need to adapt to a new way of walking! I will ask you to do mindful exercises between sessions. You may require one to six sessions for simple injuries, more for more complex ones. Do you want to move forward in life again? If you have an ankle that turns under, or a history of old ankle sprains, and it has limited your activities, call 503-708-2911. Or schedule an appointment at your convenience: Schedule Appointment I am here to help you get moving again! 4 47% of Mohamed Khalifa’s patients showed complete ACL healing on MRI after a one hour treatment. (PubMed: RCT of Manual Khalifa Therapy for ACL Rupture). 5 As Gerhard Litscher reported from Gisbert Niederführ’s book and interviews with Khalifa. 6 The University of Copenhagen research on tendon healing suggests something similar: “A new treatment strategy could involve trying to provoke the dormant tendon cells to wake up and start repairing the tendon”. This entry was posted in Chronic Pain, Healing, Research and tagged ankle pain, back, chronic ankle instability, exercises, healing, hip, knee, lateral ankle, leg pain, ligament, massage, muscle, posture, sprained ankle, surgery, tendon by Integration Massage. Bookmark the permalink. I am grateful that you enjoyed the post. Thank you for your kind words.